﻿I am a wife, mother of 6 and a health coach. I have a BA with a minor in Psychology and a Bachelor of Education. Throughout the years I have taken numerous courses and certifications in nutrition, weight management and holistic dietary support. I went on to become a certified fat loss coach. I spent the last 20 years learning how to incorporate more REAL FOODS into my family’s nutrition plan, while helping others to do the same. Read more about my story here. I transitioned from the classroom and directing my own daycare, to health coaching where I provide REAL FOOD EDUCATION to busy families, teaching them to make SIMPLE SWAPS to transform their health so they can have vibrant energy, a lean body and are able to live life to the fullest! Health starts in the simple choices we make. It starts in our shopping carts, pantries, fridges, kitchens and dining rooms. Our bodies are designed to run on whole foods. Our cells are miraculously designed to cleanse, nourish, protect and defend. Our natural state is a state of wellness. By adding quality ingredients to our diet we will naturally crowd out the bad. Small changes create big results! Your body is worthy of good care and no one is more qualified to take care of it than you are. Let me help you to feel better, look better and live better. Are you ready to start making the healthiest choices for you and your family? It's time to take back our kitchens and upgrade our pantries! It’s time to have vibrant energy, feel fully alive and participate in life, work and family activities. 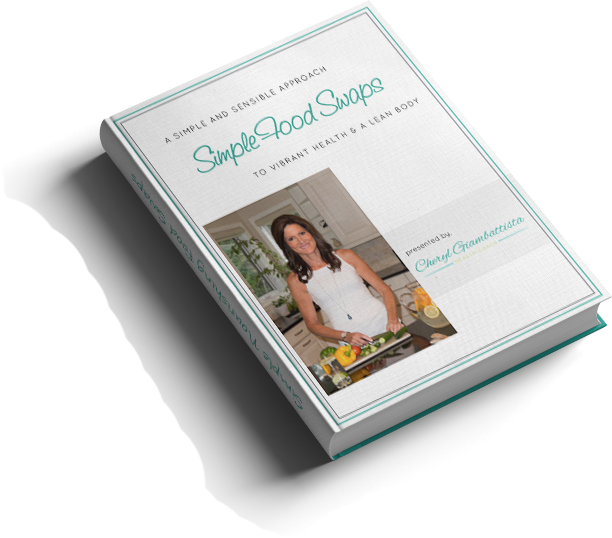 ​Start today by making a few simple swaps to your grocery shopping and cooking habits.